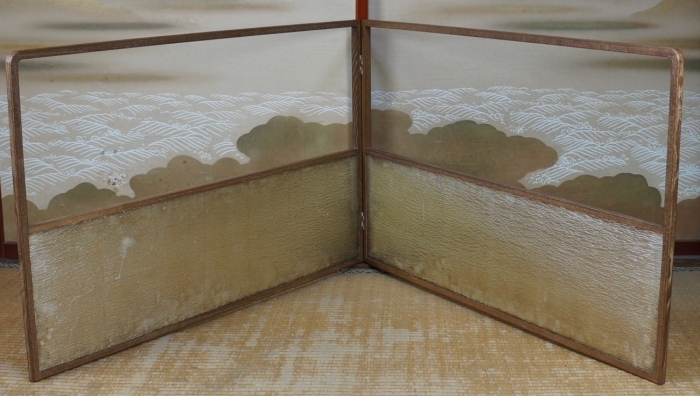 Japan wind screen standing Byubu 1900s Japanese minimalist interior art. 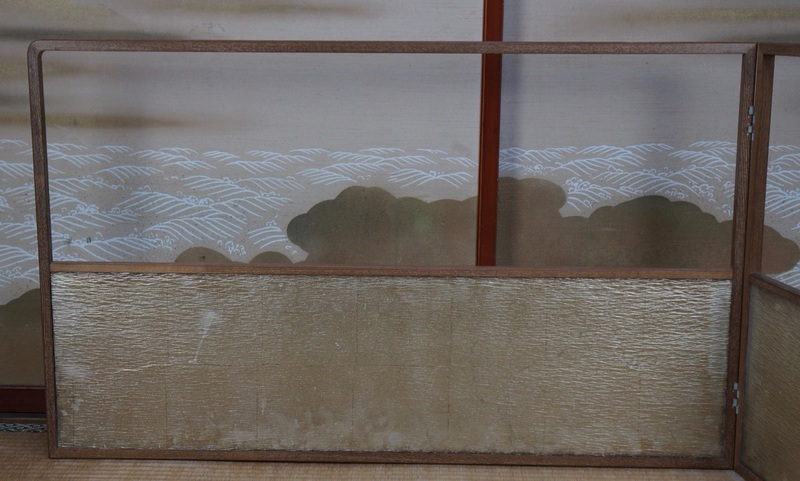 Japanese Zen art wind screen panel, simple and functional paper and wood craft. 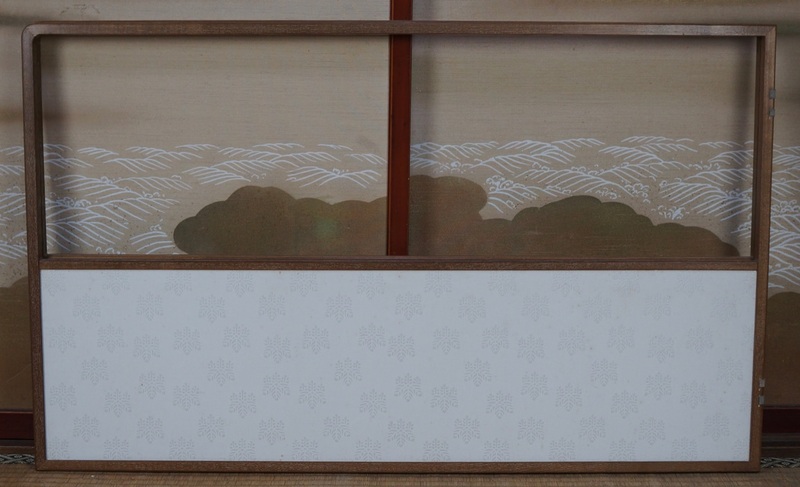 Each side is decorated with gold leaf and paper with stylized ivy symbol. 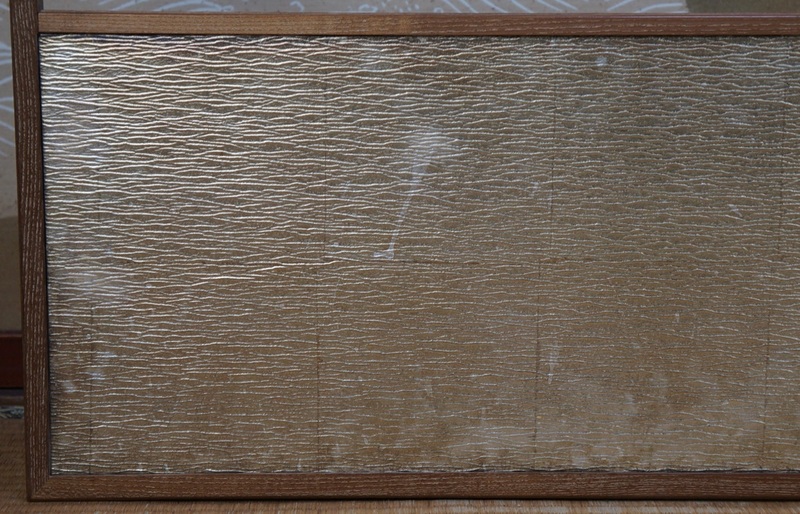 Nice hand craft, some wear marks from time visible on paper surface, please see detail photos. 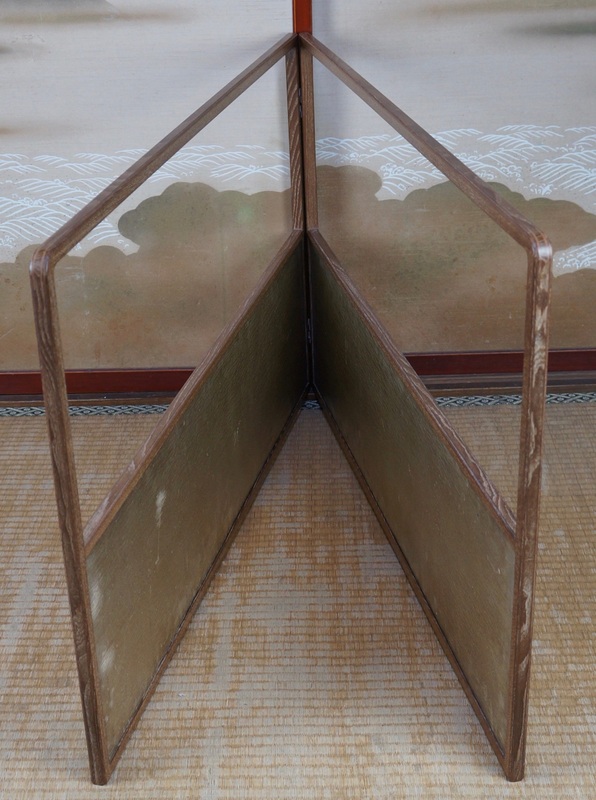 Nice decorative Japanese art. 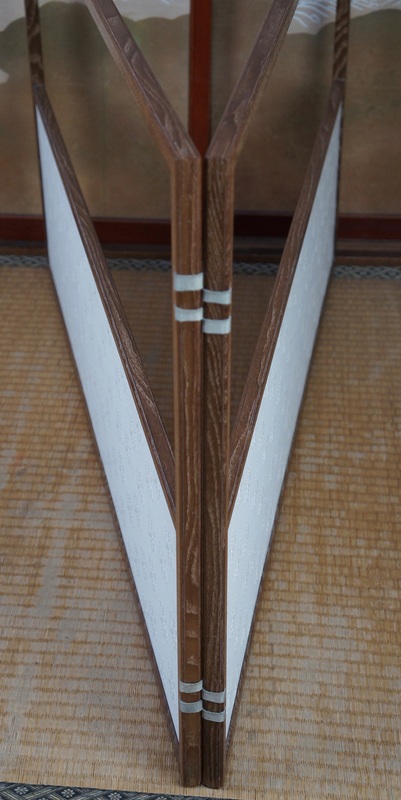 Dimensions: total L 178 H 55 cm, L 70 H 21/2 inch, weight 1.660 Kg + wrapping. 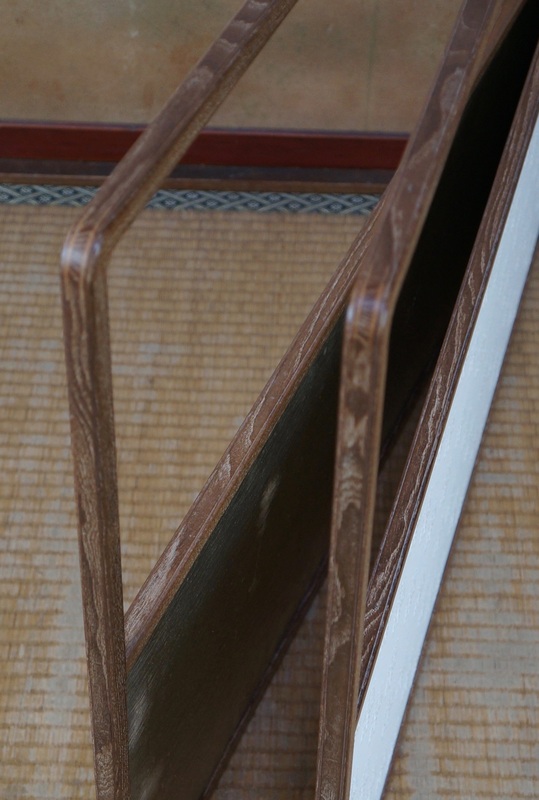 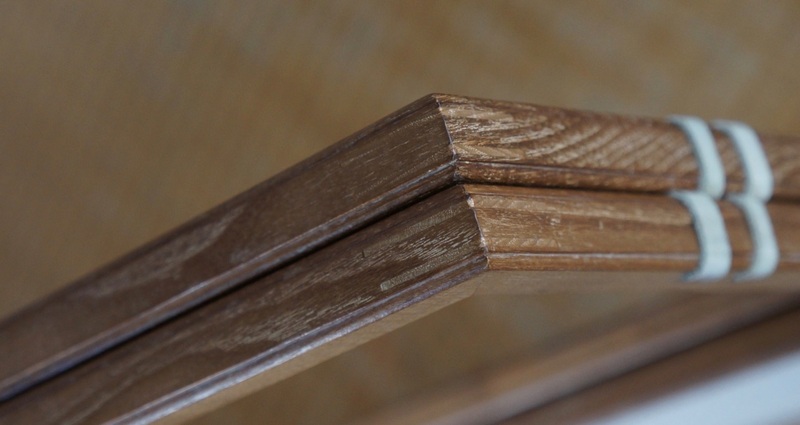 Conditions: good, some wear marks from time and usage, please see detailed photos.